Featuring ultra-fast transfer rates, massive storage capacities and an attractive aluminum housing, the U32 Shadow™ SSD is an ideal portable solid state drive. With no moving parts, it delivers immediate access time — great for HD video editing. The stylish design features an aluminum body engineered to effectively dissipate heat and provide superb protection. 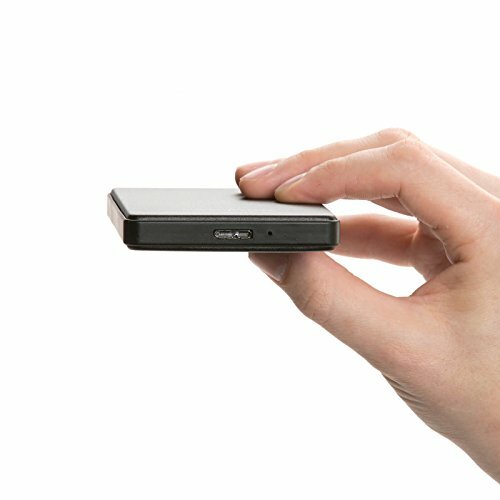 The U32 Shadow SSD provides speeds exceeding 500 MB/s when connected to a USB 3.1 port. With a compact size, it fits easily into your pocket for maximum convenience on-the-go. Powered by the USB bus, the U32 Shadow requires no external power adapter or drivers, making it the perfect portable storage solution. If you have any questions about this product by Oyen Digital, contact us by completing and submitting the form below. If you are looking for a specif part number, please include it with your message.